Setting Up for Summer Tinkering — Wonderful Idea Co.
Over the last couple of weeks, we've been getting ready to start our summer adventure of leading a art and technology camp for 8-11 year olds around the themes of computational creatures and crafting with code. 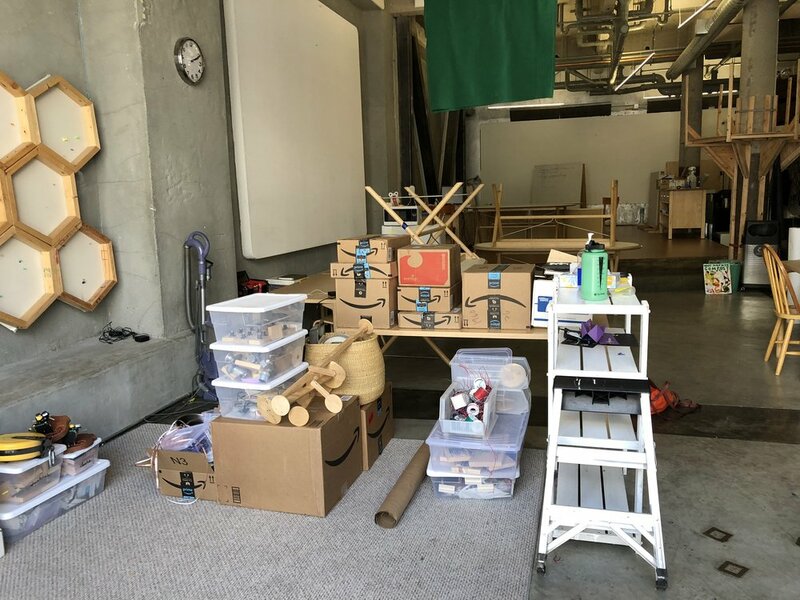 It's been a lot of fun setting up the environment, prototyping activities and thinking about faciliation with new collaborators and I wanted to share some of the behind-the-scenes moments from the past couple of weeks. For the summer camp program we're partnering with our friends at Brightworks and Tinkering School. 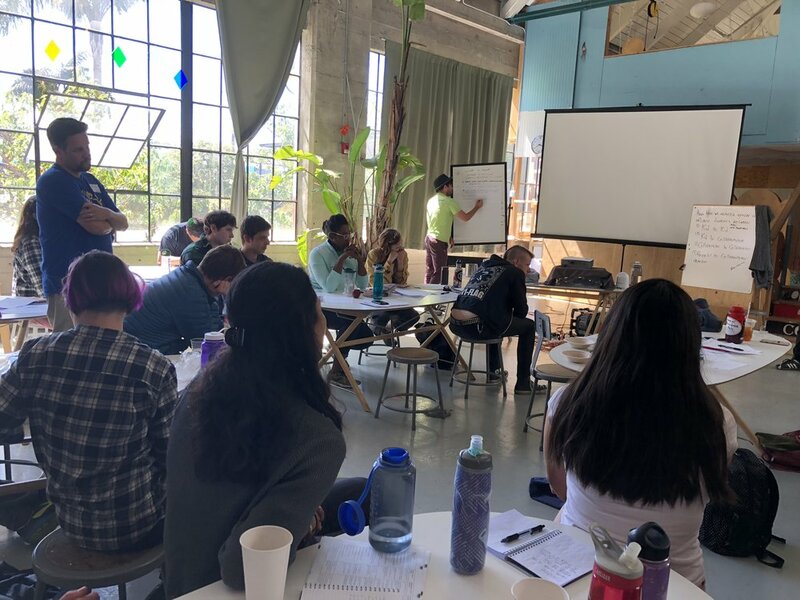 Earlier in June we joined a big training session with the collborators from Tinkering School day camp, overnight camp and the Mark Day School team. It was a great chance to meet new colleagues, experiment with some of the tools and materials and learn from the makers and educators at Tinkering School about their philosophy and faciliation style. After the whole group training, we started working on setting up our tinkering environment for the summer. We're taking over the Brightworks Annex (two doors down from the tinkering school day camp) in the Mission. It's a great space and we arrived with lots of tools and materials ready to populate it with unusual materials, inspiring examples and comfortable workspaces. Over the couple days before camp we spent time organizing materials, creating prototypes and working on environmental elements. I brought a few old favorites (like Nicole's tactile tinkering tiles and hardware faces) and we worked on adapting some of the awesome fixtures from the space like a honeycomb beehive to suit our needs. Our first week of summer camp starts on monday and we're excited to see how the group ends up using the space! 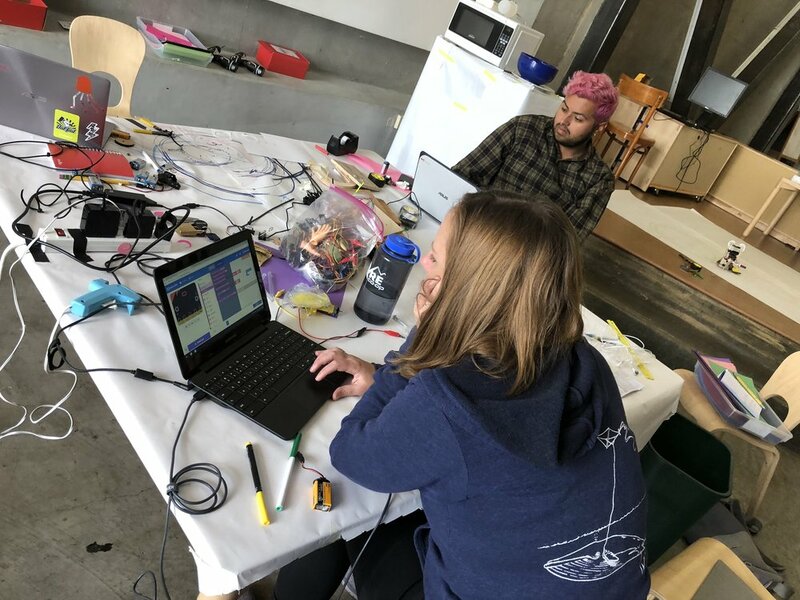 The annex will also host our creative coding professional development workshop and a series of one-off tinkering workshops for adults on evenings and weekends in July and August. Hopefully the environment will evolve over time and we'll be able to create a living, breathing makerspace that changes as a result of the people and projects inside.